For centuries, the phrase “asking for it” has been used to point fingers at women. Can a woman own the phrase “asking for it” and transform it into a dynamic tool for increasing happiness and pursuing her dreams? Well, that’s what the book “Ask for it” by Linda Babcock and Sara Laschever is about. Linda observed that women generally tend to underestimate themselves. We, as women, have this inner voice questioning us: “Do you think you are as good as you think you are?”, “Why are you not happy with the status quo? Why do you want more?”, “Watch out. Don’t get pushy” This voice is the loudest whenever you want to ask for something for yourself – a promotion, a hike or even help from your partner. 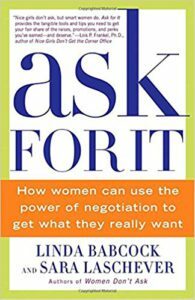 Linda wrote the book to teach each one of us to talk back to that voice, to encourage every woman to “ask for it”. Generally, we do not want to think that our partners, relatives, co-workers and supervisors, people we like and respect, treat us differently because we’re women. We respond to each event in our lives as it happens. Ascribe positive motives to the people around us. And assume that they have good reasons for making the decisions they make, even if we’re not completely sure what those reasons may be. The kicker is, they may not fully understand their reasons either, because their subconscious bias may influence their decisions. Linda, along with a group of research psychologists, conducted a survey. The goal of the survey was to prove the unconscious biases that people hold about men and women and how it influences their judgment about a person. In the survey, people were asked to associate words related to science and philosophy with either men or women. It turned out that a vast majority associated men with science and women with philosophy. I bet most of you would have imagined only a woman doing this work. Why didn’t you imagine a man doing the same work? Well, that is just the way that our brain is wired. These subconscious biases influence our behavior in ways we don’t realize and can lead us to make associations and judgments that directly oppose our consciously held opinions. The power of cultural socialization on the subconscious workings of our minds is enormous. In order to know this Linda invited men and women into her research lab. She gave each person various tasks involving negotiating with another person to get the job done. The more a person negotiates, the better are his/her chances to complete the task. In every task, she found clear and consistent evidence that men initiate negotiations to advance their own interests about four times as frequently as women do. Shocking, but sadly true. Women believe they are paid what they deserve. Even if any doubts arise, they convince themselves that their pay is well. “Others are getting better pay because they are doing their job better and if I deserved it, the manager would have already given me the pay.” Don’t misinterpret all good people to be good managers. For a manager managing 6 people (3 men and 3 women), he/she would give priority to the ones that ask. And mostly it is men who ask. They are just as skilled as women, but, MEN ASK. Men always judge what they deserve but women let others decide what they deserve. I have observed this pattern – If you ask a man in his twenties or thirties, about his life plans, his life plans would mostly include just him and not anyone else (not even his parents and wife). But if you ask a woman the same, she would include everyone else around her in her life plans. And as a result not know what she exactly wants. I am not saying do not include people in your life plans. But first decide what you want, then try to fit in other people with those plans. There is a huge difference between the two. You will find the need to negotiate only if you first know what you want. If you start including more and more people even before knowing what you want, you would have lost your identity. To identify what you really want, try asking yourself what would you want if you knew for sure that you could get it. Assume that no one you know would react negatively, that there would be no political costs within your organization, no loss of prestige, no financial downside, and no sacrifice required by your family and friends. Now, if you are about to say, “But this is not reality”, stop right there. Try it even before you reject it completely. Your entire thought process would change. You first need to know what you want. Afraid that asking for too much may make the other person angry and damage their relationship between them, women often decide that proceeding cautiously in a negotiation or avoiding one altogether, will be a good strategy. I tell you this: If your relationship breaks because of a negotiation, then the relationship was never worth it in the first place. Women do most of the household chores mainly because they don’t negotiate with their partners to take up half of the work. GO, GIRLS! ASK FOR IT! BE THE MASTER OF YOUR LIFE! 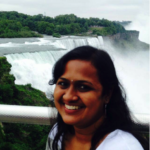 Saisruthi is a software engineer by profession who considers “Strong Independent Feminist” as her identity. Women empowerment is her end goal in life and would love to jump in for anything contributing towards it. She is a blogger blogging about Feminism for almost a year now. 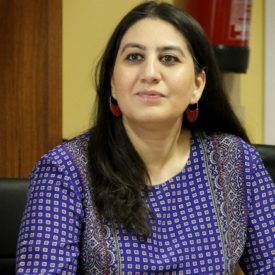 She loves to read books, most of them non-fiction, especially books themed around feminism, judiciary and Indian Political system.